Q: How do I track in QuickBooks properties that I own, but have hired a management company to deal with everything? Thanks for emailing me. You have a few choices, depending on how much information you want to track, and how much you trust your property management company. I’ll lay out a few of the options, ultimately I encourage you to try a few different ways, and decide what is best for you. Also, consulting with your accountant will be essential to make sure you record things properly for taxes. One way you can handle things is to enter most of the same information you would if you managed the properties yourself. For instance, you might want to know the names of each tenant and his/her current status in payments. Who is behind, what are the late fees, etc. Probably though, you don’t want to do this, because you’ve hired a mgmt company. Another way is to record high level income and expense per property. On a monthly basis, what did each property earn, and what were the expenses and capital outlays. This should be reported to you monthly in your statements from the management company. You can track income/expense with classes. Capital investments would be tracked directly in the asset accounts. (Since your business owns the properties, you’ll want to have asset accounts for each. This can be as the book illustrates). To make the net deposits correct (after reflecting gross rent minus fees, etc) you can use journal entries, or negative adjusting amounts in the make deposit screen. See Section 4.14 for an example (p 132 in 2nd edition) of using negative amounts in a deposit for adjusting. Lastly, if you have great trust in the property management company, and effectively are outsourcing some bookeeping and accounting to them, you might be able to just record individually some high level numbers and rely on their books of your properties. And trust their statements and/or online access and/or their own set of books for your company. Many are reluctant from this approach, as it removes the owner too much from the assets they own, and seems to make you more vulnerable to not knowing what is going on, or making mistakes come tax time. At minimum if you want this level of outsourcing, it would be better to have another bookkeeping company track Option 2, and they work with the management company. So, you’ll want to run it by your accountant after you get a system you think you like. I encourage you to have individual asset accounts, one income/expense account (possibly with subaccounts for more detailed tracking). But then different classes for each property. And record monthly (or quarterly if that’s ok with your accountant) the income, expense and investments in each property. Also, take note of the gross income and subtract the management fee expenses, rather than just recording the net income. I hope this helps. Order our full training on managing properties in QuickBooks today. It comes with a money back guarantee. And thousands of customers love it (read testimonials ♥). This question came up on the official QuickBooks forums (see also our forums). It’s a common scenario landlords with several properties face. We explain it in depth is sections 5.04 Manually Charge Late Fees and 5.05 Automatically Charge Late Fees in the kit. How do I add late fees for rental properties that are different amounts? We have several rental home with all different rent amounts, I have set up and memorized the monthly rent, but how can I add late fees without having to enter and calculate each one each time? You are probably invoicing for rent already (that’s how we teach it, and do it ourselves), and then those invoices are memorized. Great. How do you do this? Use the Assess Finance Charges feature. Set a grace period, and then “Assess Finance Charges.” Each property’s invoice is different, so based on your preferences, each property’s finance charges will be calculated uniquely. Note: some landlords choose to manually enter late fees, so that they get to review each tenant before charging them, in case special arrangements were made. Many landlords encounter challenges with city inspections and permits when they try to do work themselves. You can subcontract out everything, or sometimes it makes sense to take the general contractor’s license exam and become one yourself. If you are a general contractor, you can keep employees busy during slow times with work on own rentals. If you are a rental owner, you are able to get permits and do work without subcontracting as much since remodling requires permits and licensing to do work on rental properties. However, always subcontract HVAC, electrical, and plumbing work to licensed contractor. Some states only allow liens on property for nonpayment if the work is performed by a licensed contractor. This would apply, and be beneficial, if you were doing work for others. Time to study and cost to take test. Depending on your level of experience expect to invest several months getting familiar with the building code books and practice tests. Cost to renew license yearly. Cost of bonded and insured employees. Also consider: some municipalities or counties may have a remodelers license which may be less expensive to maintain. For many hands-on landlords it is the next step to take to enable them to have higher margins and expand their professional offerings. For others, the time and cost is not worth the investment. Leave a comment if you want to share what your experience is. If you’ve signed up a tenant with a rent to own structure, there are unique requirements for recording the transactions. Here’s a recent question from Gloria. How do i book rental income that is no longer rent but going to be payments for a purchase of property for 250,000 tenant pays 3500.00 a month towards payment? Great question. This can be complicated, and we recommend you work with an advisor. Rent to own, or an Option to Purchase, is a contractual agreement between buyer (lessee) and seller (landlord). The buyer purchases an option to buy the property later. In your books, that will be recorded in a liability account (just like security deposits). Buyer and seller likely decide on a purchase price then, or let it fluctuate with the market. Traditionally, a price is agreed upon in the option. Both parties negotiate the terms, and the buyer (lessee) has exclusive rights to purchase the property during that time period. If the buyer eventually buys it or not, the option to purchase is non-refundable. Then, each month as the lessee pays rent, a portion of that goes into the purchase price. Over time, they “prepay” for the purchase, in addition to pay rent. Sometimes in option agreements renters also need to pay property tax and insurance. It is the same as if you were paying to an escrow / impound account when you get financing from a bank. In the above option, it would decrease the rental income, and credit another liability account for Impound. This is just a start, there are other things you still need to consider such as if the tenant surrenders the option, or exercises it. Great question – you were on the right track asking this question. We look forward to a followup in the comments below. Intuitively, you may think of this as the cash flow as seen on a statement of cash flows financial statement. It is close, but not exactly the same.an experienced investor, you can use this as a factor in evaluating a buy out of your competition’s business, for instance. Also, you may think of it as the money from rents you keep free and clear of maintenance and debt repayment. That also is close. Use pre-tax values and add back in depreciation and amortization expenses. It is the cash a business can generate after spending the money required to run or expand it’s business. There are two ways to calculate free cash flow. Operating Cash Flow – Capital Expenditures. It represents the cash that a company is able to generate after laying out the money required to maintain or expand its asset base. EBIT(1-Tax Rate) + Depreciation & Amortization – Change in Net Working Capital – Capital Expenditure. Ex: EBIT is $10,000 adding back it D&A (+$3000) and we are at $13,000. The change in Net Working Capital is the change in current (non-cash) assets minus the change in current liabilities. Cap ex is the outlay of cash to capital investments. A negative FCF is not necessarily undesirable. It happens when a company is making large capital investments. How do you track tenants? Landlords need to know current rent rates, late fees due, lease expirations, phone numbers, and more. Do not buy custom software, instead use the trusted program your accountant already loves: QuickBooks. In QuickBooks the secret to tenant tracking is in setting up your company file correctly. Save hours of time by allowing us to teach you the correct way, and give you a sample company file to download and play with. Learn how to handle tenant tracking and billing. Move tenants in and out, set up and apply recurring charges, deposits, late fees, non sufficient funds, and more with QuickBooks for Property Management. Save time and reduce mistakes with automatic billing and late fee notices. Track lease expirations, unit anniversaries, occupancy rates, and tenant information. How do you make a mortgage payment in QuickBooks with Principal and Interest? Track each mortgage payment by writing a check, and setting the breakdown inside it per principal, interest, and optionally private mortgage insurance or escrow. Or, you can use the Loan Manager feature in QuickBooks. The principal is going to pay down a liability account of the loan. The interest posts to an expense account. We explain more in the full QuickBooks for Landlords training guide, including how to be a hard money lender yourself and receive loan payments from others. 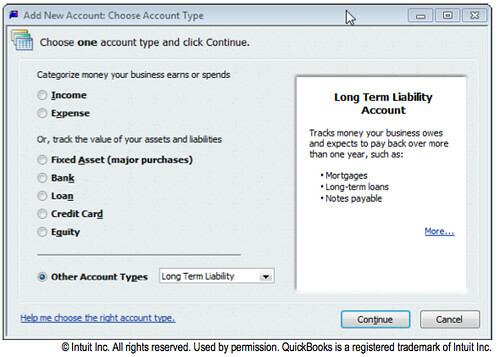 This is how to enter a mortgage on an investment property in QuickBooks. If you are a landlord or property manager with QuickBooks, you will need to know how to track a mortgage on one of your properties. According to the Chart of Accounts, you will need an account to track the mortgage. Create a new liability account (probably a Long Term Liability account as it will last over a year). 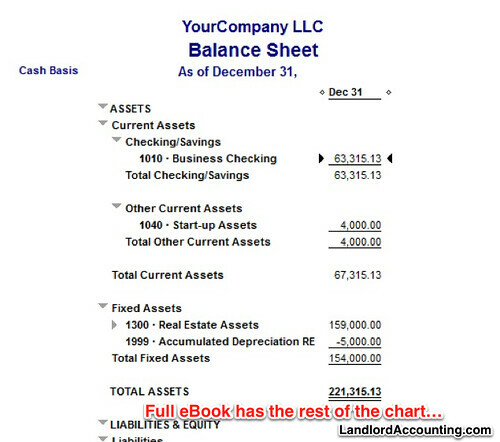 You can create a journal entry, or make a deposit to reflect the impact on your balance sheet. Capture all the details from the HUD-1. You may want to work with an advisor to help you make sure everything is correct. You can create a journal entry here as well. The HUD-1 Settlement Statement is a standard form in use in the US which is used to itemize services and fees charged to the borrower by the lender or broker when applying for a loan for the purpose of purchasing or refinancing real estate. HUD refers to the Department of Housing and Urban Development. The borrower has the right to inspect the HUD-1 one day prior to day of settlement. The form is filled out by the settlement agent who will conduct the settlement. Since 2010, the HUD-1 settlement statement also contains what is referred to as a Good Faith Estimate or GFE. This additional set of figures specifies estimated settlement figures provided by the lender upon application of the loan. Borrowers may compare their Good Faith Estimate to the HUD-1 Settlement Statement and ask their lender or broker about any changes.